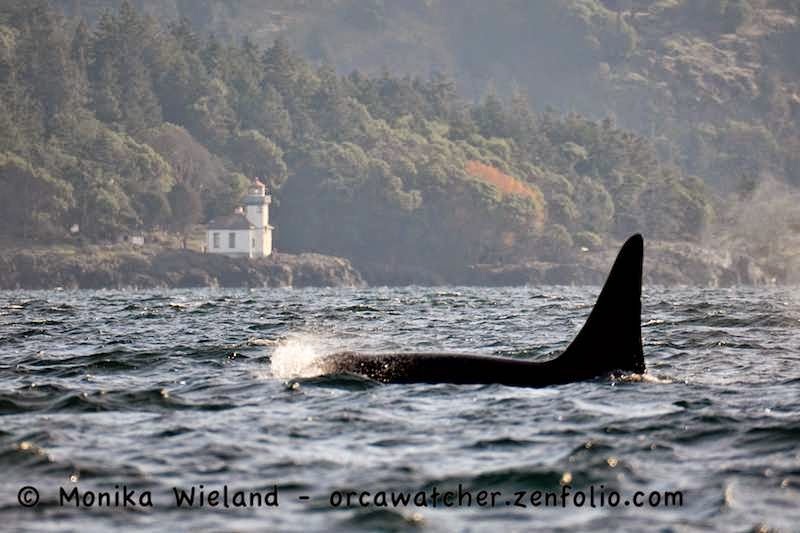 Orca Watcher: The New Adventure: A Boat! 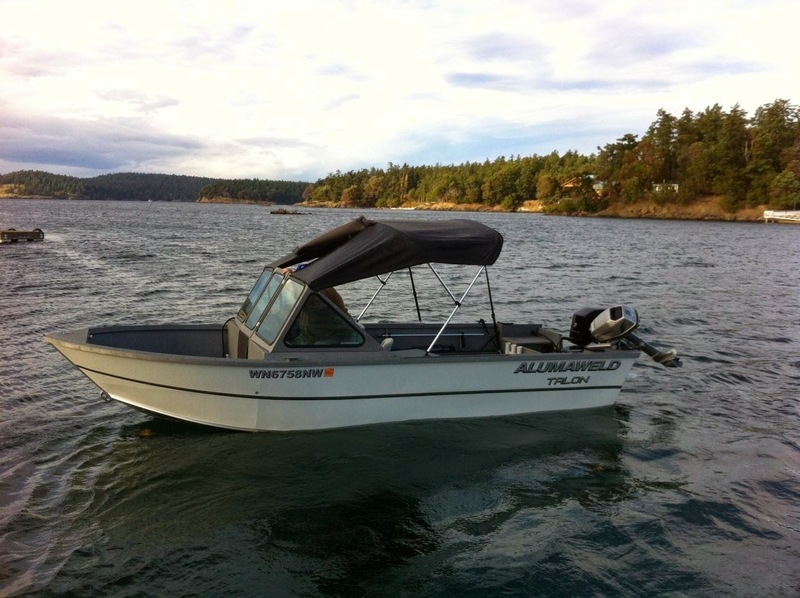 You wouldn't think November would be the best time of year to buy a boat - I sure didn't - and it probably isn't the best, but I've been surprised by how many nice days there have been to get out on the water. Don't get me wrong, it's been cold out there! But the water has been pleasant. I've been telling people the San Juan Island suddenly got a whole lot bigger, because I'll now have a way to explore some of the smaller outer islands. 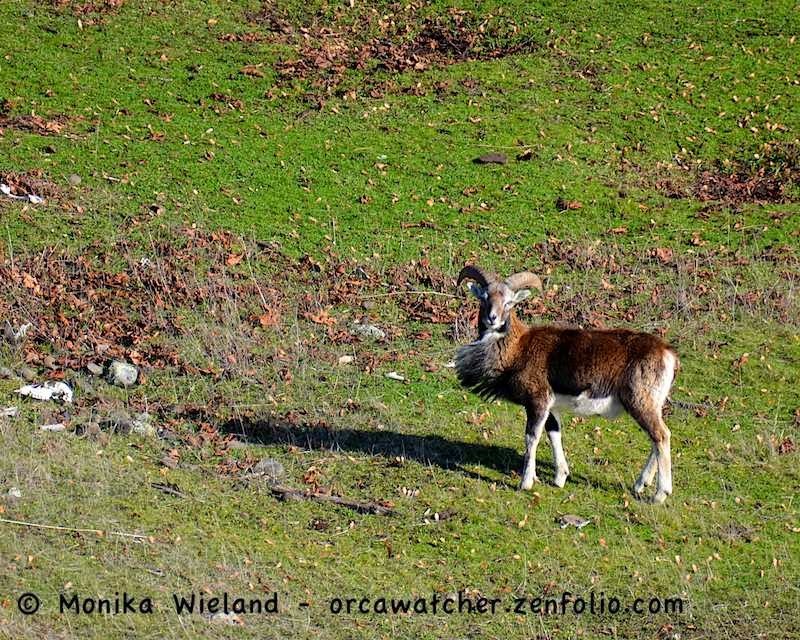 But of course, one of the main goals is to have another platform for wildlife viewing! 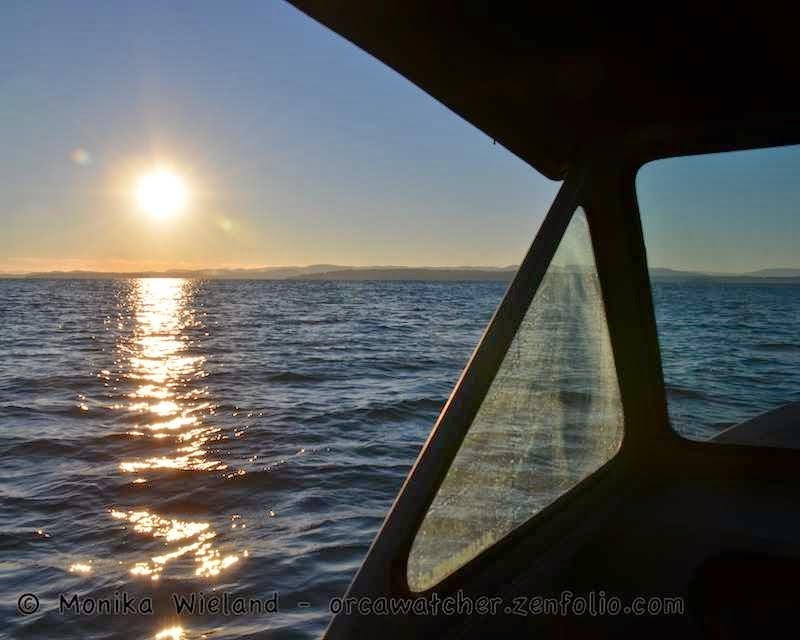 The birding this time of year is fantastic, as we get a lot of over-wintering sea birds in the Salish Sea. 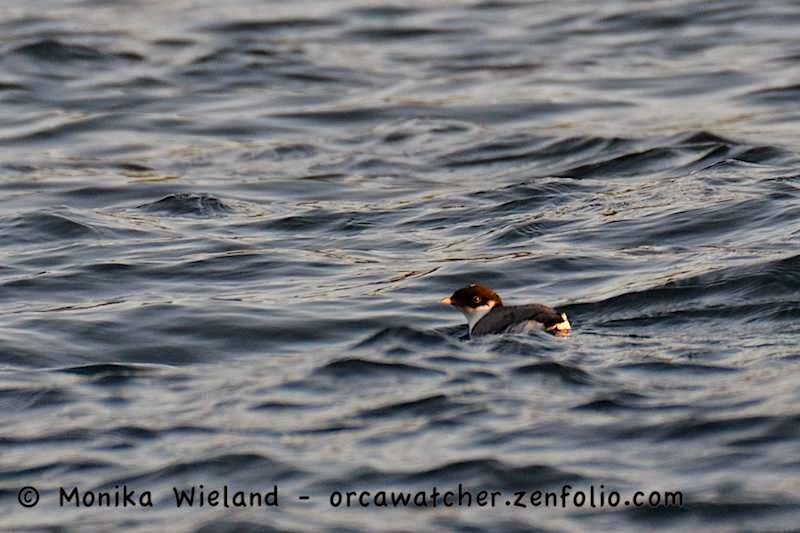 In fact, it didn't take too long to get my first year bird from the boat - an ancient murrelet (201)! 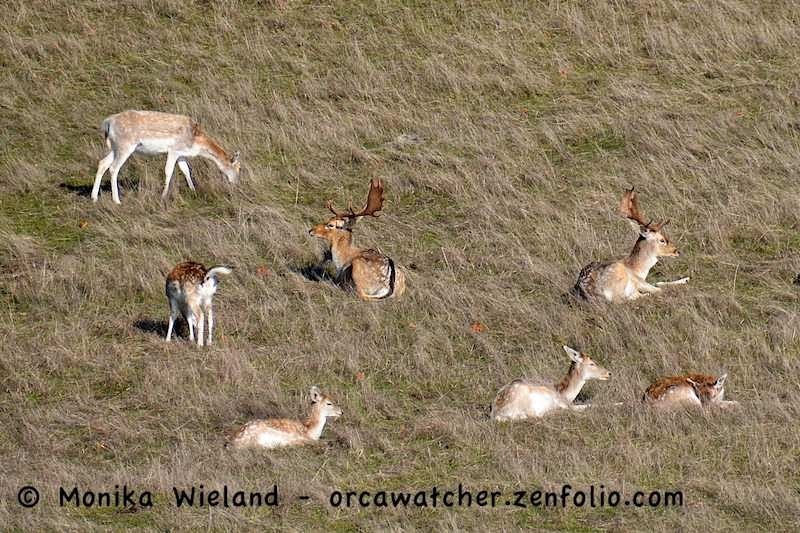 I've also gotten to take several trips up towards Spieden Island and it's exotic wildlife, feral populations that have survived from an exotic game ranch that was briefly there several decades ago. 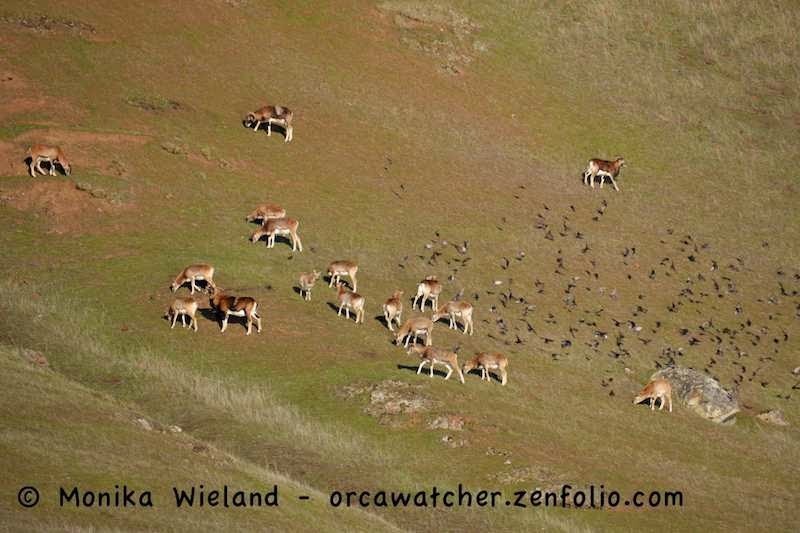 There have been literally hundreds of deer and sheep on the southern slopes of Spieden when we've gone by! Depending on which way the wind is blowing, we get calmer waters by going either north or south. 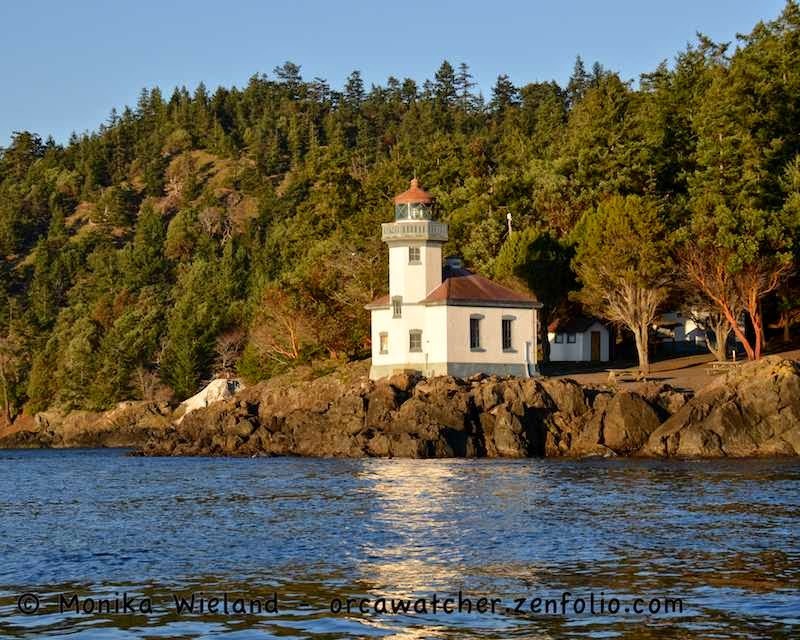 On one day, we got to head down past Lime Kiln Lighthouse - it's always fun to see my favorite shore-based whale-watching spot from the water! 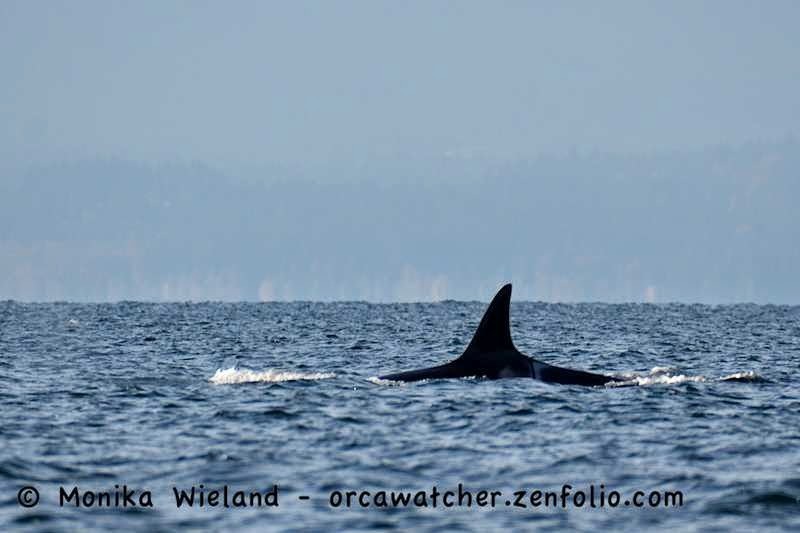 This time of year, I reasonably thought I might have to wait a few months until I got a chance to see whales from the new boat. Amazingly, it only took about 10 days from when we acquired the boat! 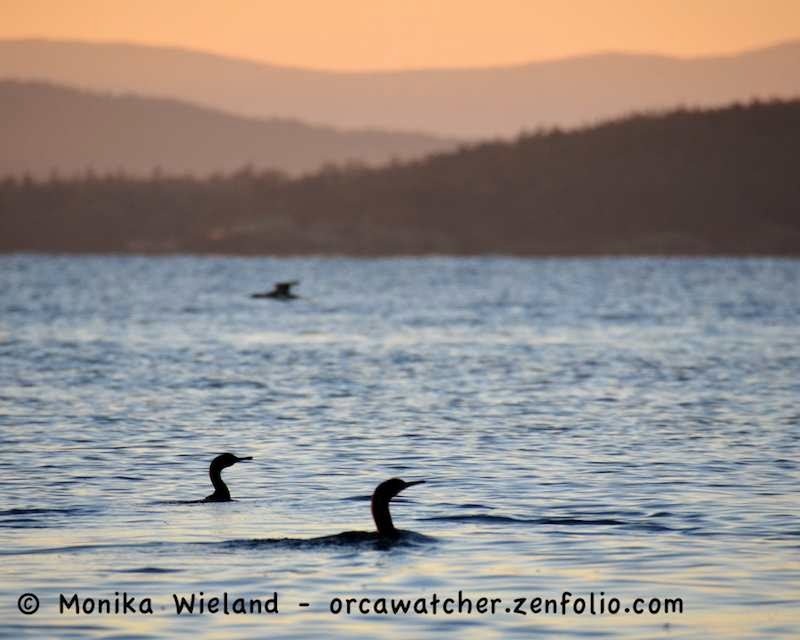 With word of a superpod milling in northern Haro Strait on a beautiful sunny morning, I just had to play hooky from work for a few hours and spend a short time with the whales. 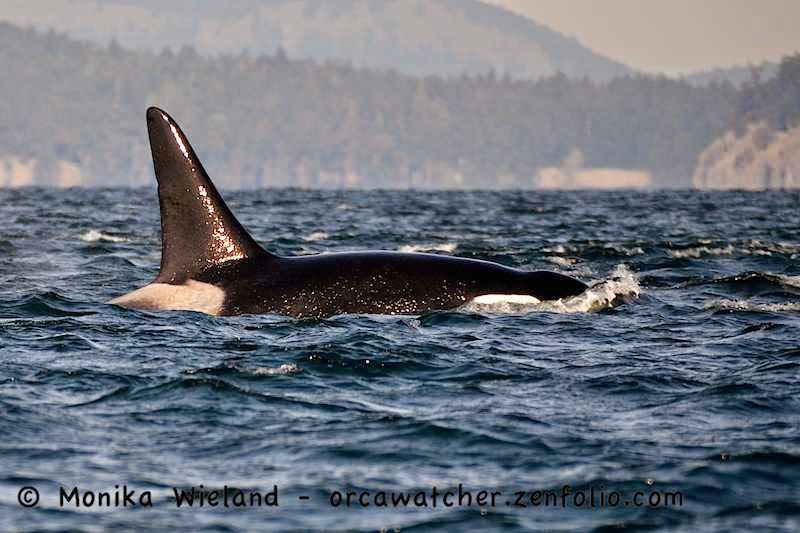 Nearby was her son L105 Fluke, adult male K21 Cappuccino, and another young male L84 Nyssa. They were doing long dives and actively foraging, so they were zig-zagging all over the place. 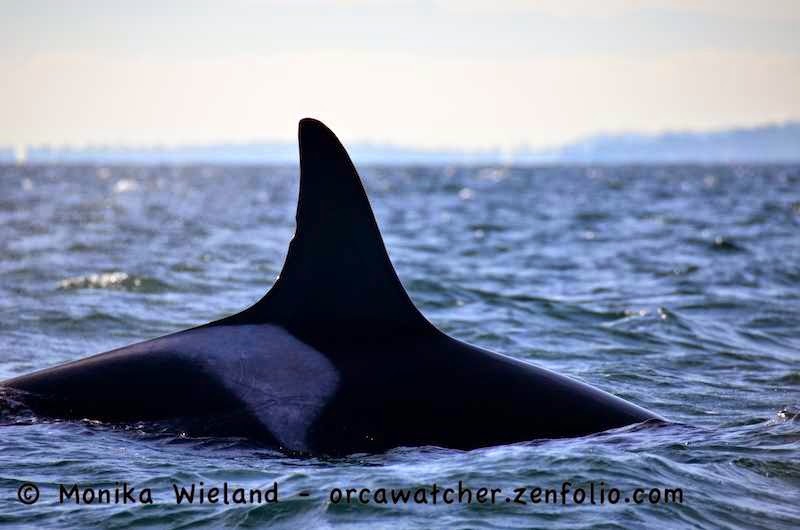 Nyssa is part of the group of L-Pod whales that don't make many visits to inland waters, so these are probably the best photos I've ever gotten of him! Right before it was time to head back, we stopped the boat to watch the whales slowly mill their way south as they headed away from us. Out of no where, we were surprised by J2 Granny who suddenly popped up right next to us! This, more than anything else, made it feel like our boat had been properly christened! Congratulations on the new boat...The pictures are great. So did you get a chance to see the Nature Program I emailed you about? Perfect addition to your toolkit. I know you'll make good use of the boat, year round. Cool observations so far! 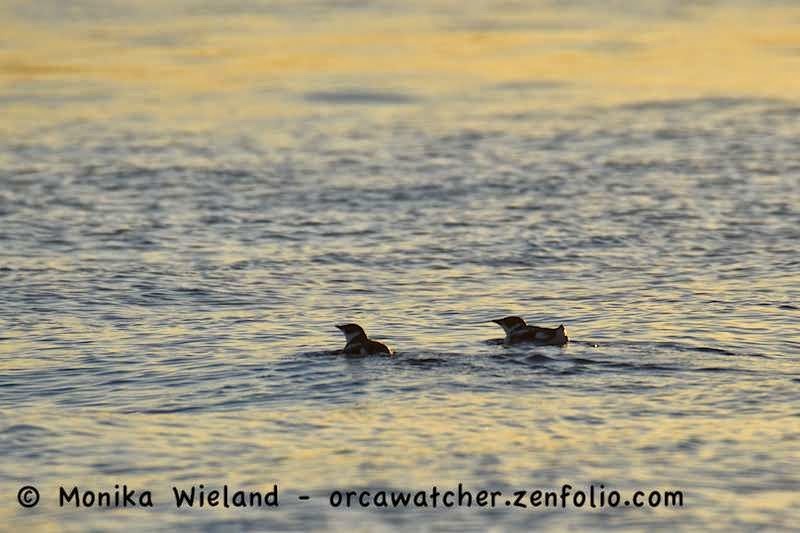 Ancient murrelet! Good to see the sea lions too. 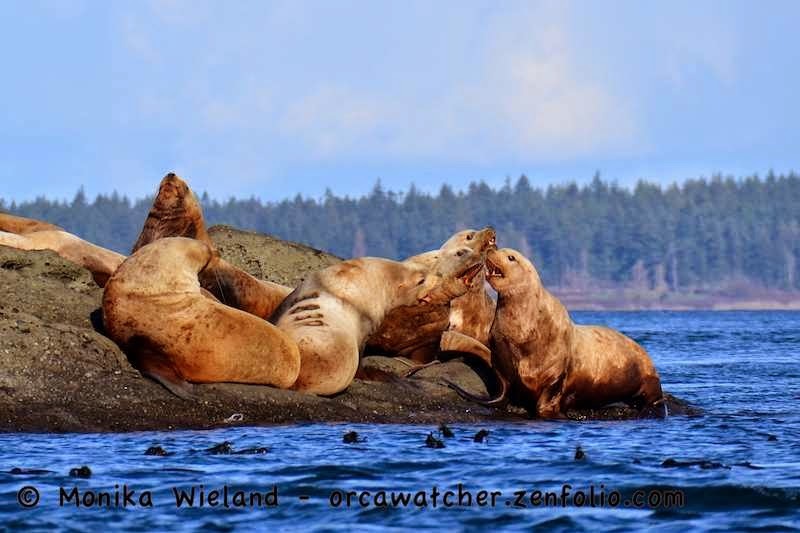 Question, maybe you know the answer - I've been watching the sea lions at Whale rocks this winter and have seen what looks like females and pups there too. 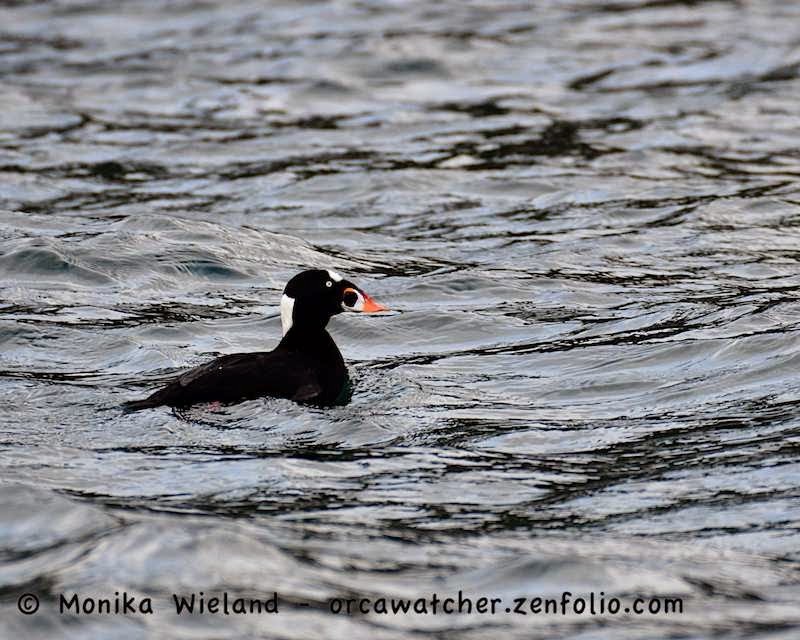 I thought it was just males wintering in the Salish sea. Do you know what the sea lion situation is in our waters? Thanks Kate! I did see the program - very interesting stuff! OceanDiver - Yes, I've seen female and juvenile sea lions occasionally as well; never at Whale Rocks before, but it doesn't surprise me. I think as their population is increasing they're expanding their range. We're certainly seeing more of them over a longer period of the "winter" than we used to. I don't know what the official word is on this, but I wouldn't be surprised if we start seeing more females and sub-adults, or even if we started having some year-round haul outs.